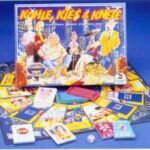 Once upon a time, Sid Sackson created a game that went on to be published in Germany as Kohle, Kne$, Knete (reviewed in the Summer 1997 GA REPORT) and later, in English, as I’m the Boss! (reviewed in the Fall 2003 GA Report.). 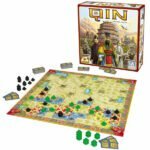 The game was good enough to be nominated for the Spiel des Jahres (the German Game of the Year award) and, although it didn’t win, in my opinion, it should have. But the game didn’t just magically appear; it had its roots in a card game titled Piece of the Action that Sid devised and reworked. 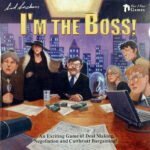 After perusing through the Sid Sackson archives, now housed in the Strong Museum up in Rochester, New York, Rick Soued and the folks at Gryphon Games discovered the card game roots to I’m the Boss and have brought the original game, with a few twists of their own, to the gaming public, renaming it I’m the Boss! : The Card Game. As constituted, I’m the Boss! 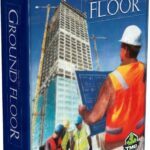 : The Card Game is about 80% Sid Sackson and 20% the Gryphon development team. The card game comes with 96 Deal cards (32 each in blue, green and red) divided into 10 “Positive Deal Cards, 4 “Negative Deal Cards”, 4 “Reverse Cards”, 7 “Piece of the Action” cards and 7 “Move” Cards. There are also 6 multi-colored “Piece of the Action” cards, 3 “X” cards, 1 “I’m the Boss” token, 2 Cousin tokens, 12 Double-sided “I’m In/Pass” disks, a 2X disk and a deck of Money cards. All players begins with two “I’m In/Pass” disks and $50. The starting player (randomly chosen) gets the I’m the Boss token and the two Cousin tokens. All players are dealt a starting hand (from 8 to 10 cards depending on the number of players). Now, the deck is seeded with those X cards. After the initial deal, remaining cards are divided into two halves with one X card placed in each half. The halves are shuffled and placed to form one draw deck. The third X card is placed underneath the 2X disk (where it will join the deck after the deck has been gone through once). The starting player (the “Boss” for this turn) begins by playing a positive or negative Deal card to the table. Play continues in a clockwise fashion with the other players following suit (blue, green or red). Cards may be played to enhance (or devalue) the worth of a deal. Reverse cards played on a player can change the final value of a deal from positive to negative (or from negative to positive) while Move cards can shift a card from one player to another or to the discard pile. A player may choose to not play a card by flipping over one of his I’m in/Pass disks to the Pass side but, when doing this a second time, that player is out for the round. Once out, he is immune to any negative cards that could be played on him. (There is a variant offered, however, where that player would remain vulnerable to negative cards even after passing!) And, of course, players can play cards to carve themselves a bigger Piece of the Action! The Boss of the deal, by virtue of being the “Boss”, begins with 1 Piece of the Action. Players may play Piece of the Action cards to cut themselves in on a deal. They can also get a bigger slice of the pie through negotiation. The Boss has two “Cousins” that are available. Each represents a “piece of the action” that the Boss can award to another player in return for a favor such as playing a card to increase the value of a deal or NOT playing a negative card to decrease the value of a deal. (Yes, extortion is allowed and even encouraged! But one player may NOT get both Cousins in a round.) Once all players have passed twice, the value of this round’s deal is calculated and the proceeds distributed. All values of Deal cards are totaled and then multiplied by five. Then, this total is further multiplied by the number of X values (both the 2X disk and any X cards exposed) to give the value of the deal. 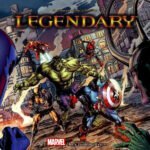 (Values are capped at $150 when 3 players are in the game to $250 for five or six players and deals can result in negative values.) Each Piece of the Action a player has gives that player the amount of the deal. (Values are NOT divided. Each share is the full amount.) After a specified amount of rounds (where everyone had at least one opportunity to be the Boss), the game is over. The player who has amassed the most money is the winner! 1. Piece of the Action uses 108 cards 3 identical sets of red, green and blue cards. 2. There are no “I’m In/Pass” disks in Piece of the Action. One pass is enough to keep you from playing in the round but you can still collect on a finished deal. 3. No Cousins in Piece of the Action either. While negotiation can play a role here, there is no physical equivalent to Cousins in Sid’s original rules set. 4. Deal values are figured a little differently. The final value of a deal is totaled, multiplied by the number of Xs showing and then rounded to the nearest 5. 5. Game end. Piece of the Action ends when the draw deck is exhausted and all players cannot replenish their hands. In both games, the player with the most money wins. The card game uses the same artwork from the I’m the Boss boardgame so there is a sense of graphic consistency here. 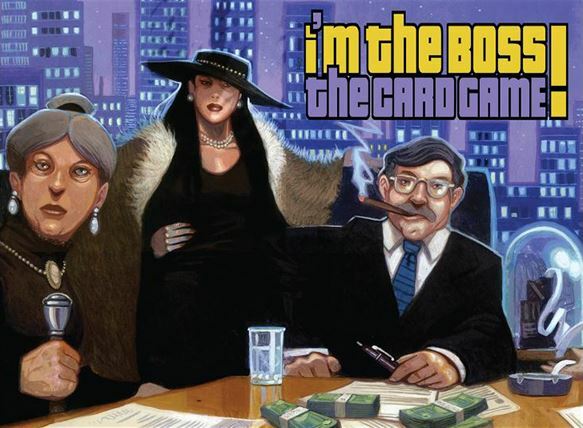 Although both the boardgame and the card game rely heavily on cardplay, the I’m the Boss Card Game is seemingly more dependent on the cards as lacking the right color cards can effectively shut you out of a deal. 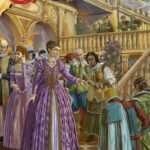 Both card games manage to capture the ever increasing value of deals, using Xs to multiply deal amounts (although the mathematical gymnastics – round to the nearest “5”, cap the deal at a certain amount etc. – seem a bit “fiddly”). This makes deal making towards the end of the game more intense than the early deals (consistent with the boardgame). 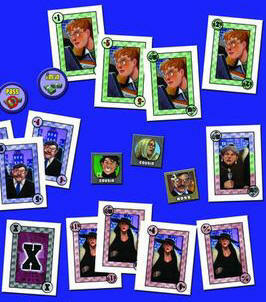 The introduction of “Cousins” simulates the wheeling and dealing that the boardgame thrives upon although, at least in the games we played, negotiations tended to either slow the game down as players tried to force a deal that wasn’t going to happen or they were not a major factor as players tended to let their cards do the talking. 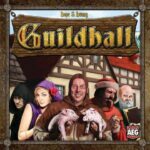 What is missed in the game dynamic is the ability to steal the role of “The Boss”, one of the high points of the boardgame experience, something that is just not possible in either the standard card game or the expansion. 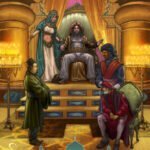 The detective work done by the folks at Gryphon Games is to be commended, from discovering the roots to I’m the Boss to developing them into the card game. And, of course, being able to see and play with the original Sackson rules so you can glean some insight into Sid’s process that turned a card game into a spectacular board game is fascinating. 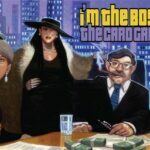 The boardgame, I’m the Boss!, is a classic and a very tough act to follow. 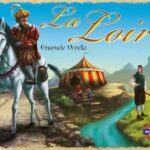 Because of this, the card games find themselves at a disadvantage and, as a result, don’t quite rise to the level of the boardgame. (Sid must have felt the same as he reworked his card game to create one of his best designs.) Still, any time a new Sid Sackson game appears on the market, that’s an event that captures my attention. I’m the Boss! 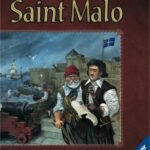 : The Card Game makes a valiant effort to capture the essence of the boardgame and is worth experiencing for anyone who, like me, is a devotee of Sid Sackson designs.